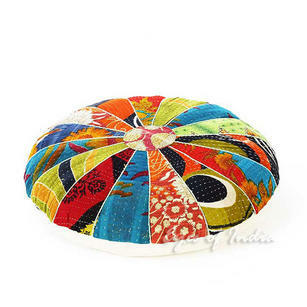 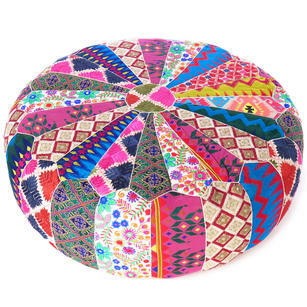 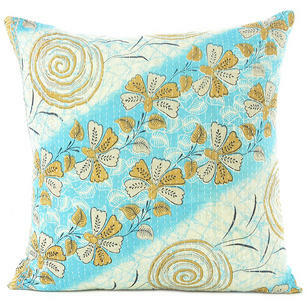 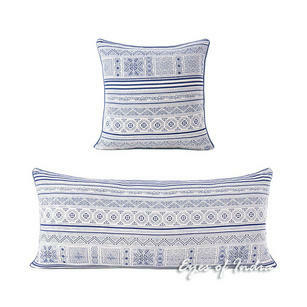 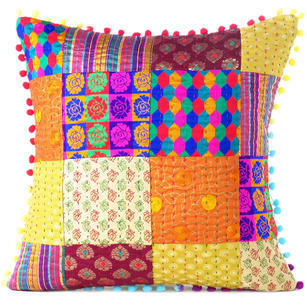 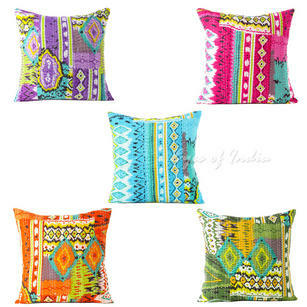 | Blue Printed Kantha Colorful Throw Bohemian Boho Couch Sofa Pillow Cushion Cover - 16, 24"
This pillow cover was created by the artists of the small township of Sanganer, who produce dazzling designs using intricately carved teak blocks and richly colored vegetable dyes. 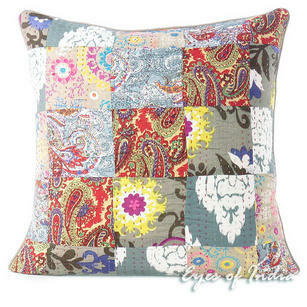 Each side features a unique print. 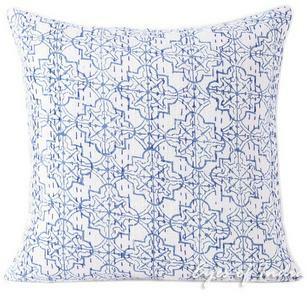 Simply turn it over to reveal a new pattern instantly. 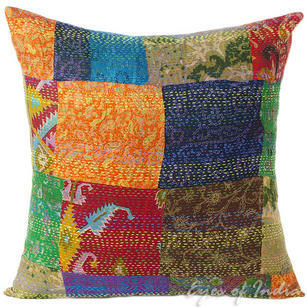 Kantha embroidered is then applied to the fabric to give it the unique Kantha look. 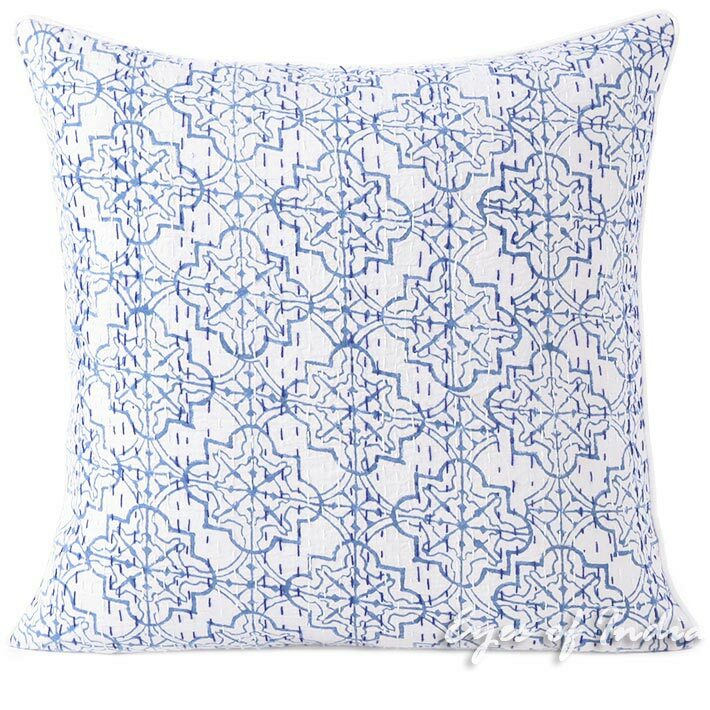 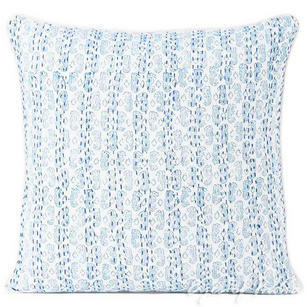 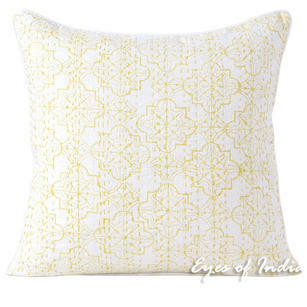 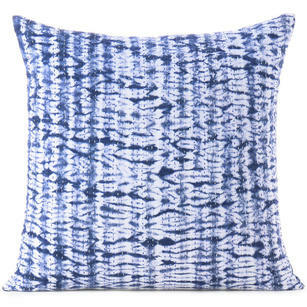 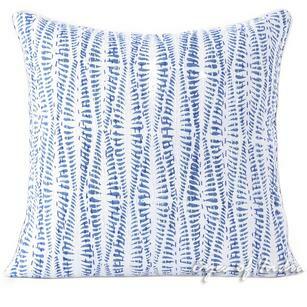 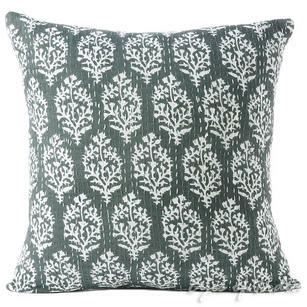 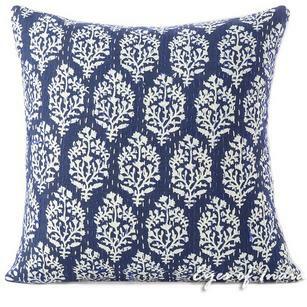 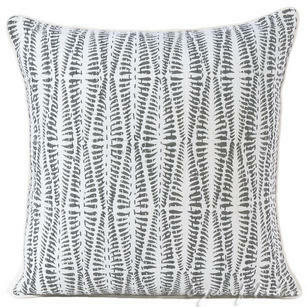 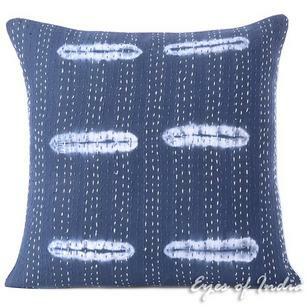 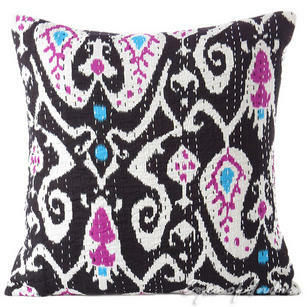 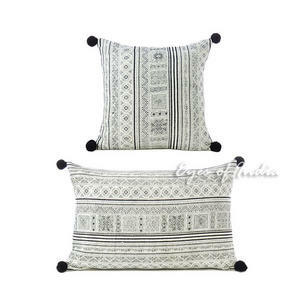 Made by some of the best hand-block printing artisans from northern India, this cotton cushion cover gives any living area a relaxed but visibly upscale feel. 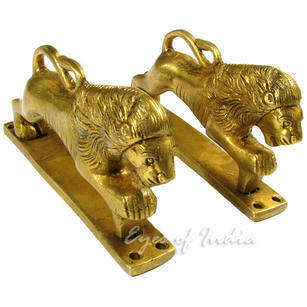 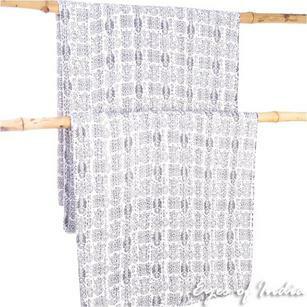 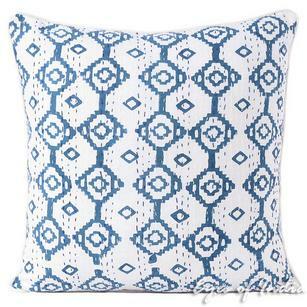 Block printing is an ancient Indian textile tradition lovingly preserved throughout the centuries. 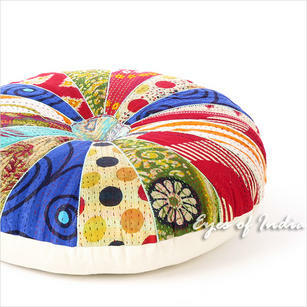 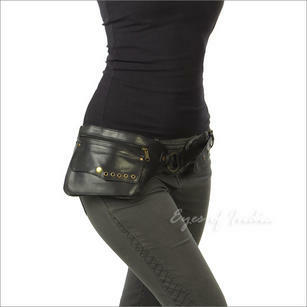 Production requires hours of skilled hand work.